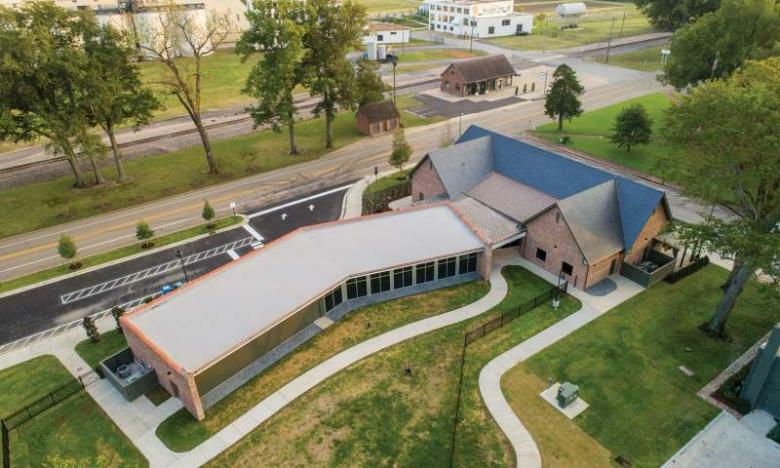 LITTLE ROCK, Ark., 2018-Oct-29 — /Travel PR News/ — An updated and expanded Hampson Archeological Museum State Park in northeast Arkansas will open Friday, October 26, 2018, to the public. In years past, the Hampson Museum was housed in a much smaller structure, which limited the ability to showcase many pieces of this unique assortment of artifacts. This new state of the art facility provides visitors with many opportunities for hands on experiences as well as visually stunning displays. Additionally, the museum now has spaces for much more research to be performed on the collection. Hampson Archeological Museum State Park in Wilson, Arkansas, exhibits a nationally renowned collection from the Nodena site. This was a 15-acre palisaded village that once thrived on the Mississippi River in what is today Mississippi County. Hampson Archeological Museum interprets the lifestyles of this farming-based civilization that lived there from A.D. 1400 to 1650. Artifacts and exhibits share the story of an early aboriginal population of farmers who cultivated crops and hunted native game. The community that once lived there also created its own art, religion, and political structure. A thriving trading network also played a role in their way of life. This remarkable collection owes its preservation to the late Dr. James K. Hampson and his family. The old museum was built more than 50 years ago and was 1,740 square feet. Over the years, the size of that building proved to lack the capacity needed to adequately showcase the artifacts and exhibits. The new museum is 8,580 square feet. This will more comfortably welcome guests to view the amazing collection of objects and interpretive exhibitions that shine light on this ancient culture. A formal dedication is scheduled for November 15, 2018 at 11:00 a.m. This entry was posted in Amusement Parks, Tourism, Travel, Travelers and tagged Archeological, Arkansas, Hampson, Museum, Park, parks, tourism. Bookmark the permalink.